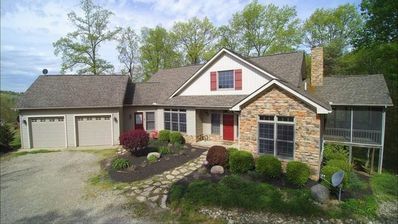 Gorgeous Hocking Hills 6 Bedroom Waterfront Retreat with Outdoor shelter house. 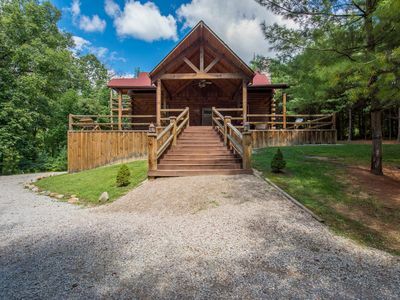 This amazing retreat comes with two cabins & shelter house, making it perfect for any group, family, or friends gathering. 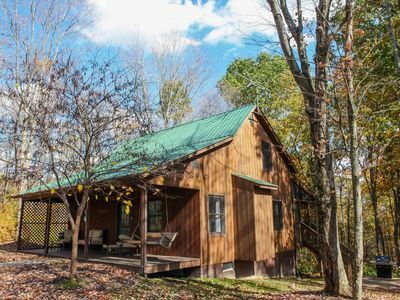 Centrally located and close to all the Hocking Hills attractions, located on 7.5 private acres, waterfront - stocked pond & is bordered by serene Rush Creek, which offer great fishing! 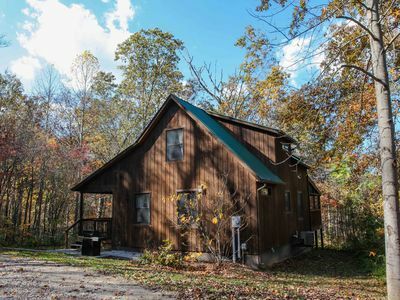 This is the perfect location for exploring the natural wonders of the Hocking Hills area and having the perfect place to gather. 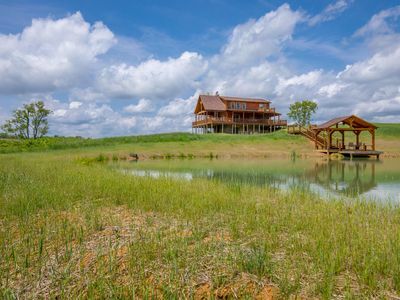 If you enjoy wildlife you will love watching the wild ducks or the nightly visits from the deer while they sip from the pond. 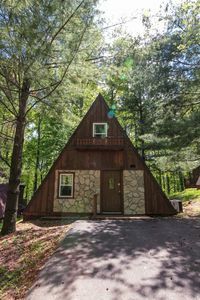 The private retreat offers Six total bedrooms (five of the bedrooms have queen sized beds, one of the bedrooms has two twin beds). 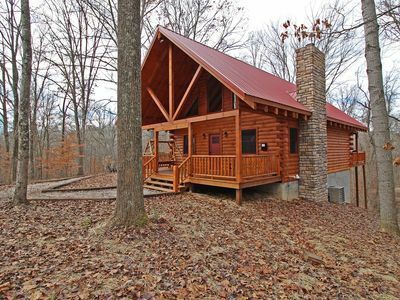 Each cabin has Three Bedrooms and both cabins have a Queen size Sleeper Sofa. 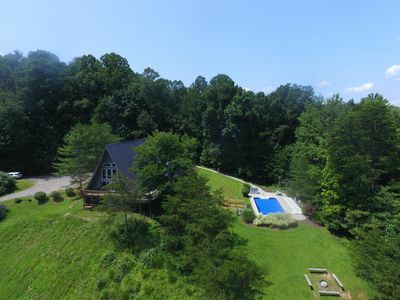 Both properties have amazing views and great outdoor furniture and high-end hot tubs. 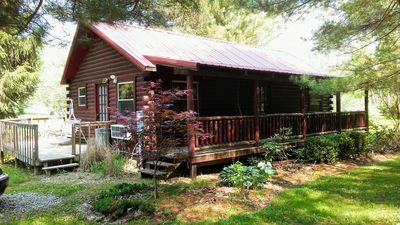 The cabins are also equipped with High-speed Wifi, cable television, outdoor fire-rings, and grills. 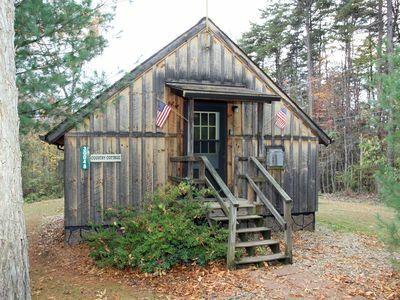 The cabins share an outdoor shelter house that is stocked full of tables, chairs and outdoor furniture. 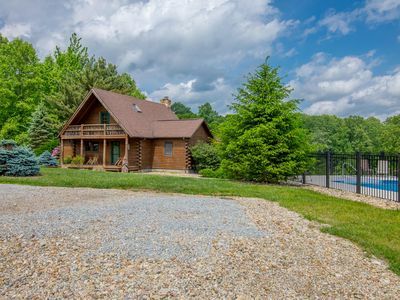 There are also outdoor hammocks, corn hole sets, and Frisbee Golf. 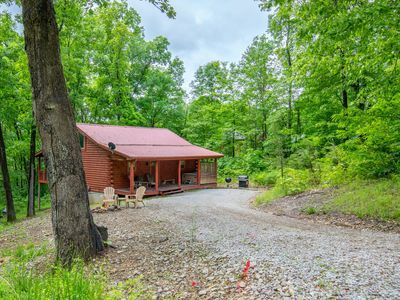 Nearby attractions include: Parks, Lakes, Hiking, Canoeing, Ziplining, Mini Golf, and much more! 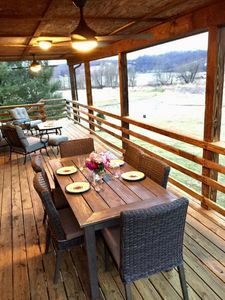 Please note, we do not rent to separate parties at the same time. 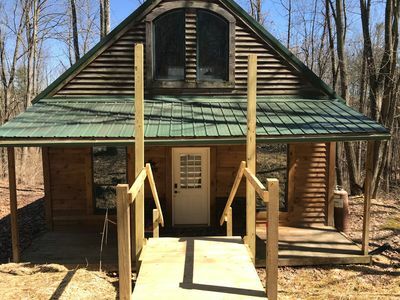 This rental includes the entire property (two cabins and the shelter house). 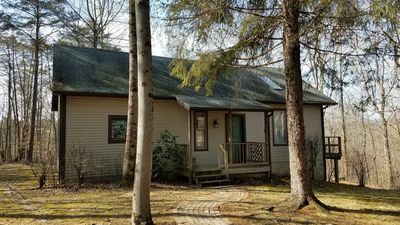 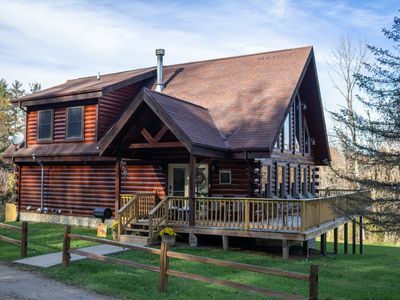 Spacious Lodge/Home located in the beautiful Hocking Hills. 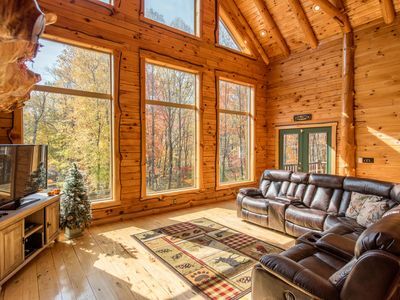 Custom-built cabin with double sided fireplace and wall of windows! 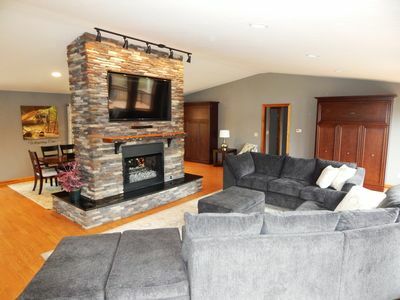 Easy access to activities! 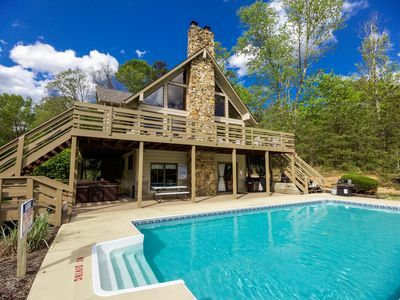 Lodge and carriage house with 7 combined bedrooms, ponds and private pool! 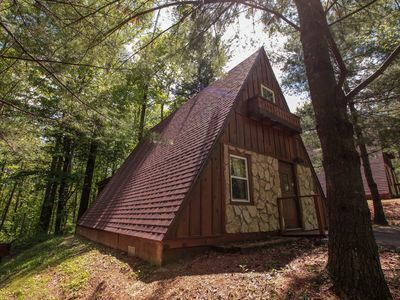 Across from State Forest! 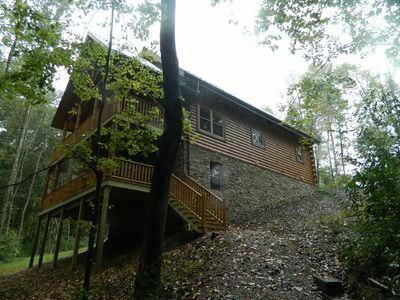 3 story pet friendly lodge near Old Man's Cave!